If you need an affirming word (who doesn’t?) to stave off the nagging presence of productivity guilt, if you find a looming self-consciousness with each fork of each road of each infinitesimal decision of each workday (“Should I have e-mailed this first?”), if you wonder why vacations are so longed for and yet always somewhat unfulfilled, check out the Atlantic’s brief post from Derek Thompson about “Why Summer Vacations (and the Internet) Make You More Productive”. There’s more here to uncover than Thompson is interested in addressing, but it’s a start. Similar to an article covered earlier this year in regards to Netflix‘s vacation policy, it seems some are wising up to our natural need for rest–and our equally natural inclination, from the top down, to fight rest with all our capitalistic gusto, our preference for striving against it in expectation for a better competitive handle on the pecking order, on the ever-building inbox tray within us or without. It would appear that the human addiction to works is alive and well in 21st Century America. We are conflicted on this subject, to say the least. But rest is categorically good, Thompson is saying. And it’s not just good–it paradoxically inspires that which seems so contrary to its nature: productivity. This is scientifically proven. In a very factual sense, it is the grace of rest that electrifies a truer livelihood into the deadened pulse of the workplace. You might say it provides a sprinkling of divine fuel, be it mysterious or mundane, that can do what our bosses cannot. Hear, then, this word of rest for the weary, overworked, overplanned, and overcommitted–and feel free to peruse Facebook afterward. Who might have guessed that kitty videos and cake blogs would make us more productive? Henry Ford, probably. In the mid-1920s, the auto giant reduced his factories’ workweek from six days to five, and 48 hours to 40, after discovering that productivity returns diminished steadily after his workers toiled eight hours a day, five days a week. Ford’s insight is part of a long tradition of productivity-obsessed Americans. In a widely shared PowerPoint on productivity and the limited (or negative) value of working overtime, Daniel Cook of Lost Garden explained that Ford’s insight is as true today as ever. 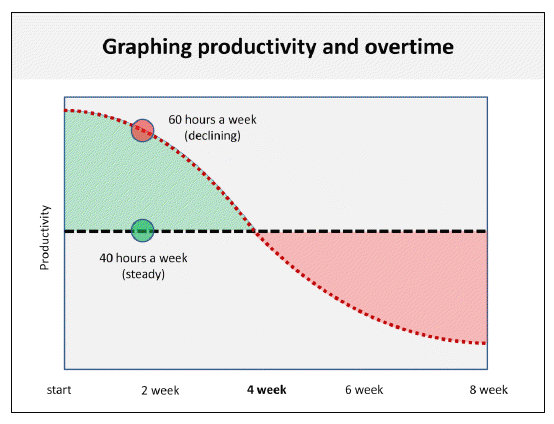 Numerous studies has shown that productivity turns sharply negative as we move beyond 40 hour weeks. The more we learn about human attention, the more limited it seems. Overtime binges lead to bursts of output that exert a hangover effect in later days. Study after study indicates that short bursts of attention punctuated with equally deliberate breaks are the surest way to harness our full capacity to be productive. Literature on research at universities — a notoriously grueling enterprise — showed that faculty are more productive when they work in brief stints rather than all-consuming marathon sessions. Anotherstudy published in the journal Cognition found that short breaks allow people to maintain their focus on a task without the loss of quality that normally occurs over time. In this age of David Allen’s Getting Things Done and software like Evernote, the business of optimizing our own productivity has never been more fecund. But nothing in the research suggests that lifehackers are hacks. Science tells us we have a limited reservoir of attention to dedicate to a single task. 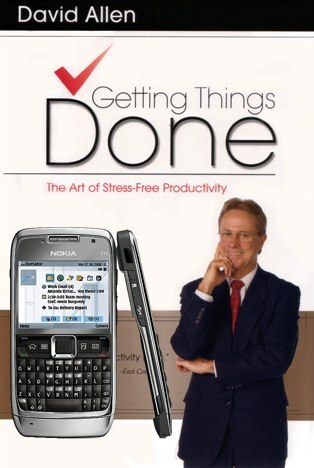 The GTD crowd teaches us to maximize it. That brings us back to Obama. It’s typical for the president, like so many families, to celebrate the month of August by shutting down the computer and skipping town. From a raw numbers perspective, this counts as lost work. But that’s a short-sighted view, psychologists now say. In fact, by serving as the least productive month for millions of workers, August unexpectedly serves as a productivity-booster. 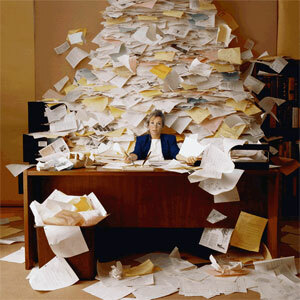 The bottom line is that breaks are better for our brains than overtime. Where you get your break — from an hour on blogs, a day in the park, or a week golfing at Martha’s Vineyard — doesn’t matter so much as that you get it. If you care about your own productivity, don’t be afraid to goof off online. And if you care about decision-making at the national level, tune out the critics and root for your president’s golf game.